April 18th is National Animal Cracker Day and when I think of animal crackers, my mind races back to my childhood with those small frosted circus animal cookies showered in bright sprinkles. They were my favorite and still are. These cookies are incredibly easy to recreate at home and can be used in fun ways. 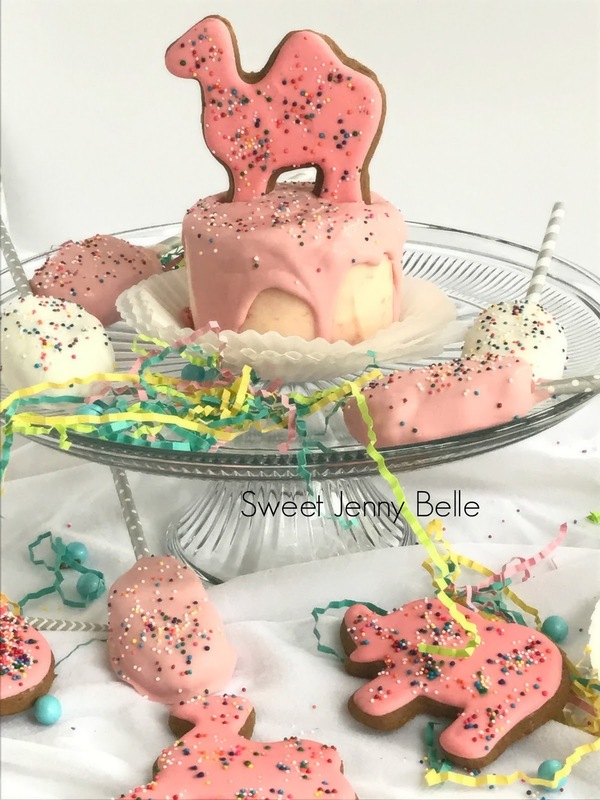 I graced one of my mini cakes with my favorite pink camels and think it's just adorable. 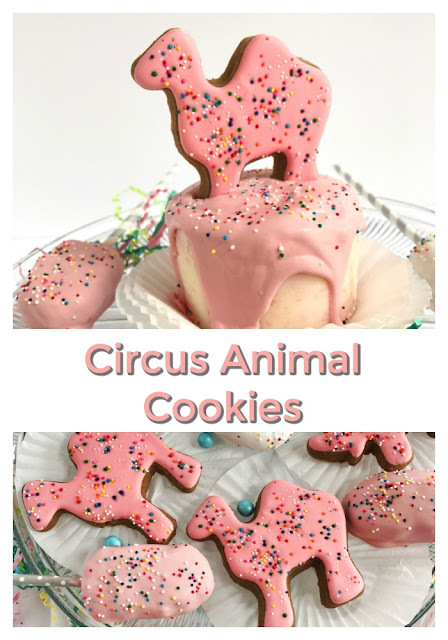 How fun would this be for a baby shower or child's first birthday? What do you need to bring the nostalgia back in the kitchen? 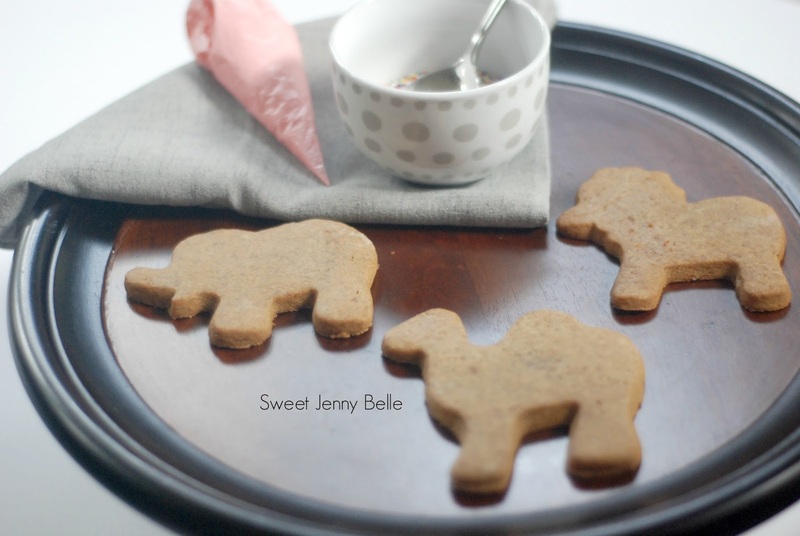 These cookies are so easy and fun, you may want to enlist your children or grand-kids to help. 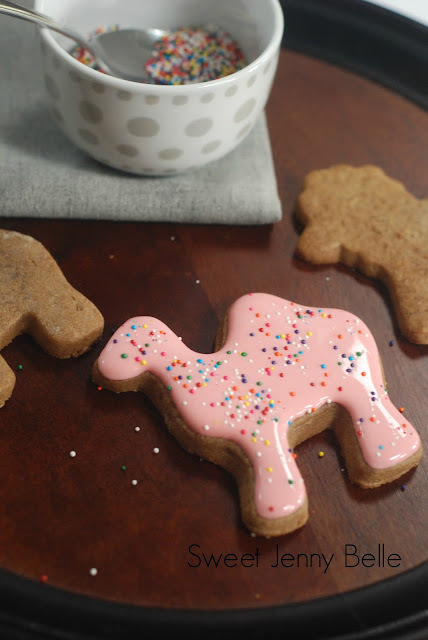 Simply outline and fill the animal cookies with pink royal icing. While it is still wet, gingerly add the sprinkles on top of the cookies. Set the decorated cookies in the dehydrator for 10 minutes at 90 degrees. 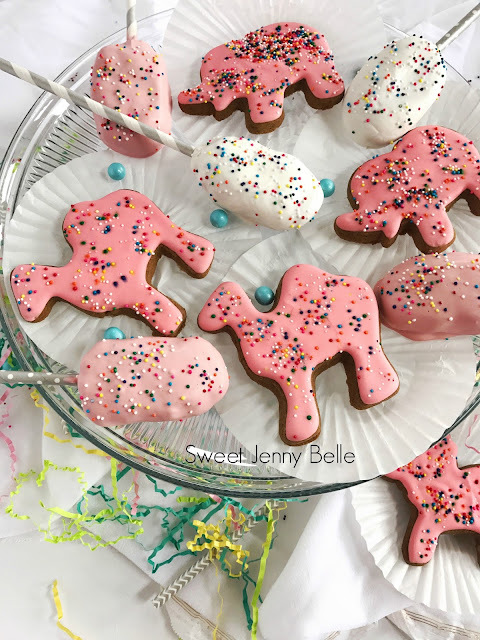 The color of the sprinkles may slightly bleed into the pink, but it is quite minimal. Mmm! I just love them and hope you do too.